The group ended up spending the night. Rocky Mountain National Park spokesman Kyle Patterson said they're helping one another climb to the summit of Longs Peak and that rangers are helping as needed. No one is lost, missing or injured, Ryan told the network. WTF? Are we getting to unmentionable affirmative action territory here? If I was SF, I would have died before calling for a ride. Can one get altitude sick going from Ft. Carson, around 5000’ elev. to 14,000’ elev? I thought I heard an hour ago on the local radio say it was ‘altitude sickness’ that overcame a few of them. I’ve done Flat Top Mountain two or three times. It’s 1000 ft less at 12,324 feet. But I’m a flatlander. I’ll admit that once I got above the treeline I had to stop and rest about every 100-200 feet because the air is pretty thin up there. Never had elevation sickness though. So if they get rescued and flown of the mountain does it count? I live at 4,000 feet and went for a run at 7,200 feet recently, and it was a very different feel. I just could not catch my breath. I’ve been to the top of Trail Ridge Rd in the Park-—no problems,but I wasn’t exercising——just walked around for a while. They got sick at 14K? It’s nothing to screw around with. The only course to take upon onset is immediate descent down the mountain. It AMS starts off like a bad headache, then progresses to severe dizziness and lack of coordination. After that it can progress to pulmonary then cerebral or pulmonary edema. Many of the climbers who have died on Everest were stricken with AMS initially. Altitude illness is divided into 3 syndromes: acute mountain sickness (AMS), high -altitude cerebral edema (HACE), and high-altitude pulmonary edema (HAPE). Dec 15, 2015 ... What are the signs and symptoms of high-altitude cerebral edema? ... types of altitude sickness, acute (mild) altitude or mountain sickness (AMS), high-altitude pulmonary edema (HAPE), and high-altitude cerebral edema. Altitude sicknessalso known as acute mountain sickness (AMS), is a pathological effect of ... However, most people can ascend to 2,400 metres (8,000 ft) without difficulty. Acute mountain sickness can progress to high altitude pulmonary edema (HAPE) or high altitude cerebral edema (HACE), which are potentially fatal. I’ve driven Trail Ridge Road many times. One time we even watched a thunderstorm BELOW us! As I’ve gotten older, for some reason I’ve started developing a bit of a fear of heights. Driving back down while looking over the edge of those shear drop-offs really gave me the willies! Same here when I was stationed at Kirtland AFB NM..... Albuquerque . I lived behind the Manzanos at Zuzax NM ..... our daily PT down at the base was 3 miles out and 3 miles back..... it was easy at 6300 ft altitude to paratrooper shuffle 6 miles each day. The highest peak I have climbed was Cerro Aconcagua in the Andes Mountains which is just under 23,000 ft altitude. 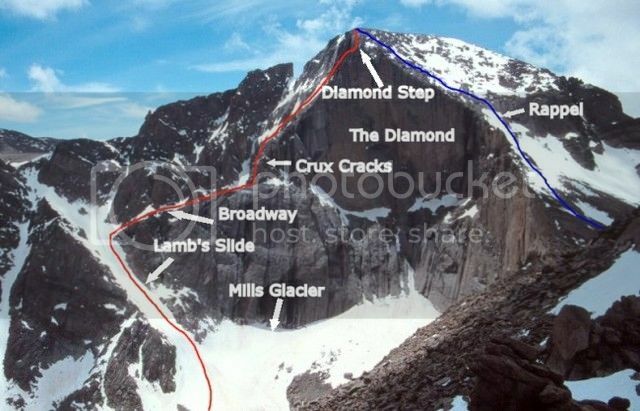 It has only about 1 month climbing season and the year I climbed it about 7 people died from altitude sickness.